FUTURE DB KING ~ The Happy Birthday Hunter Torbush Interview. 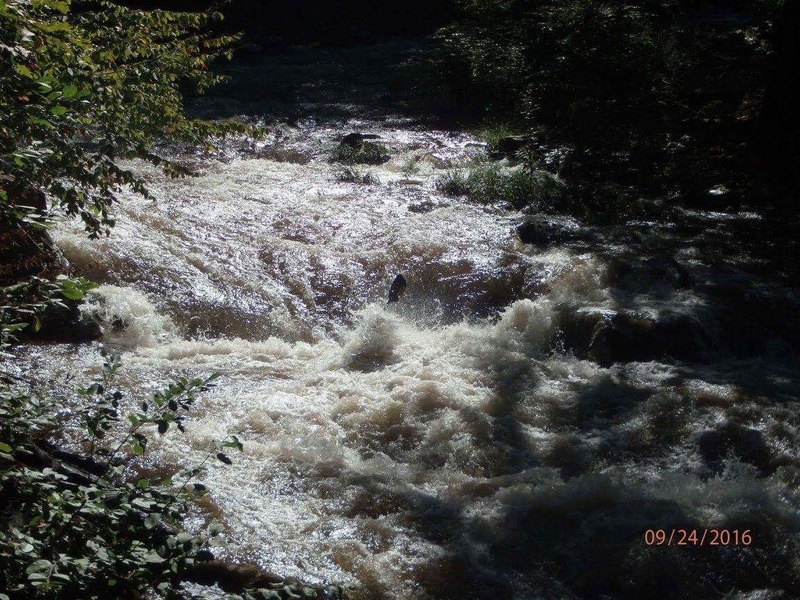 by Michael Potter | DBP MAGAZINE ONLINE The World's Best Free Whitewater Publication. My introduction to Dirt Bag Paddlers was purely coincidental. A group of paddlers from Georgia posted their annual event, the Nantahala Icebreaker, to take place on January 16, 2016. 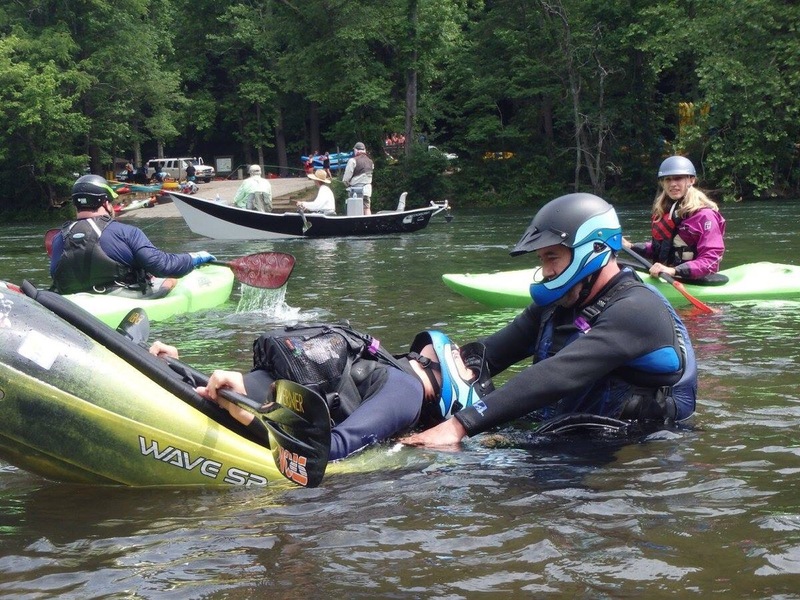 Although new to the whitewater scene, I had already met some of the folks who would attend this event. I also wanted to meet others in the Paddle Crackers and Georgia Canoe Association to expand my paddling opportunities. For this reason I cast my lot and rented a cabin from Linda Paris at Smoky Mountain Retreat, where the event was held for the weekend. Most of the attendees would be at these spacious, very comfortable cabins, nestled in a somewhat secluded cove overlooking Smoky Mountain Meadows Campground and the beautiful Smoky Mountain foothills beyond. I highly recommend either of these small businesses if you decide to stay in the Bryson City, NC Area. Just a few days before the event, while surfing Facebook, I ran across a post by some guy named Mike. He was asking for volunteers to write about the Icebreaker event. I replied via PM directly to him, saying that I could send him a simple trip report. Mike replied in turn asking for a few pictures to go with the report. I agreed. Hey, it’s just a trip report right? After the event, I sent Mike some mixed up garble of misspelled words, lack of punctuation, and run on sentences. This amazingly uneducated Appalachian Redneck work of art I called a trip report. Looking back at it now, I’m flabbergasted Mike didn’t hit the delete button and trash my report immediately. Since that time Mike has asked me to write several articles, pushed me to understand and use correct grammar, and brought me aboard as a DBP Admin and Staff Writer. He has also taught me that I can’t write in the same slang that I use in my normal everyday speech, especially if I expect people to understand the subject I’m writing about or even be able to read what I’m writing. I still slide a little bit of my REDNECK in from time to time. I HAVE been supported in my works and ideas, one of which was to try an interview style article. I have had a couple of different paddling type reprobates picked out for an interview, one of these being a young man by the name of Hunter Torbush. I just needed a place in the magazine to present the article properly. With the lack of water for the Icebreaker this year, this being my anniversary article, and Hunter’s birthday being this month, I have now found the correct time to put him in the pages of DBP MAGAZINE ONLINE .COM. But first, I have an introduction from his dad, Lee Torbush. 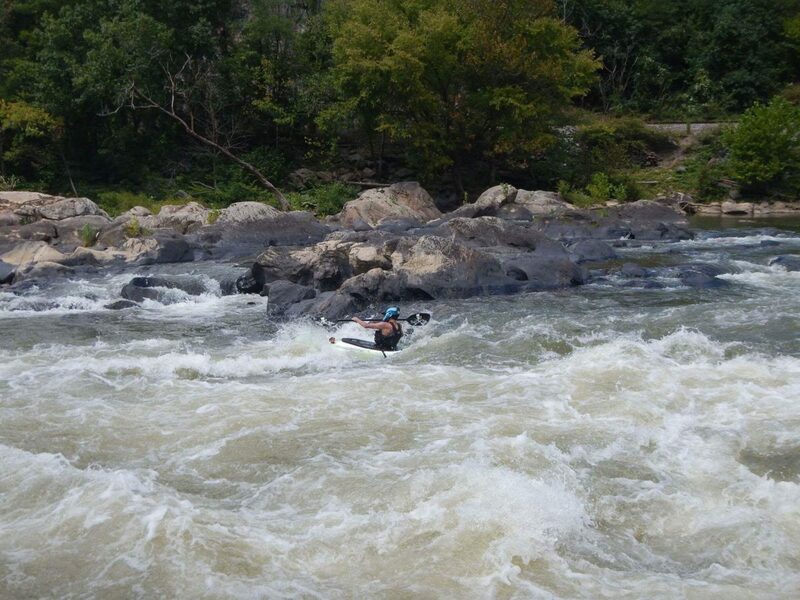 DBP: Hunter, what got you started in whitewater kayaking? Family? Friends? Outside influences? Hunter: It started with my family. My dad started out taking our recreational boats down some class l’s such as Deep Hole to Sandy Bottom and Toccoa. Eventually he bought himself a Dagger Katana about halfway through the summer. That August we were on the Upper Hooch for my mom’s birthday and I was still in a rec boat. 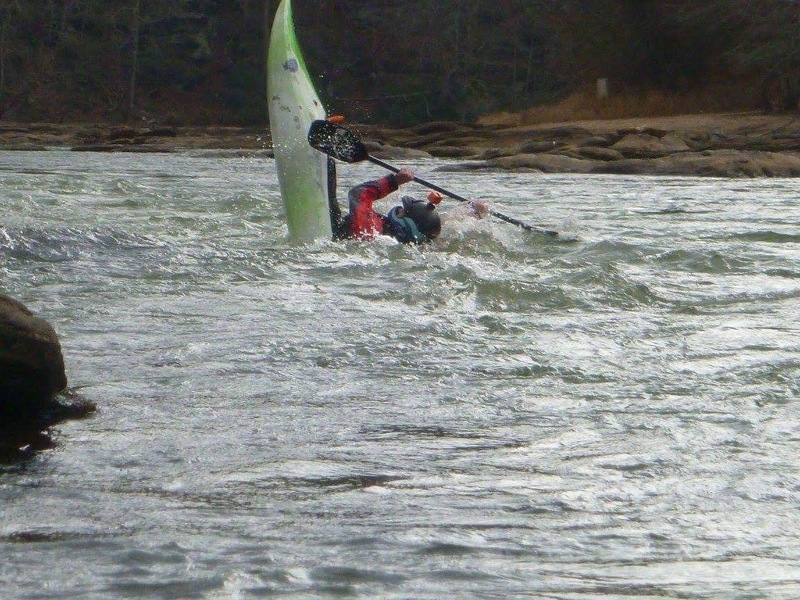 Christmas of 2015 my dad bought me that Wavesport Recon he told you about and two days later we were back on the Upper Hooch at a level of 4 feet. DBP: I have kayaked several times with you and your dad this year. Were there any trips or memories on the river with him that you hold special? Hunter: Yes absolutely! Getting on the Ocoee together for the first time was a special treat, as that was both of our pfd’s (personal first descents). Ocoee was also both our first time running anything above class ll or ll+. Beyond that just any pfd we ran together, from the Nantahala to the FB9 (French Broad Section 9) trip that you led us down. 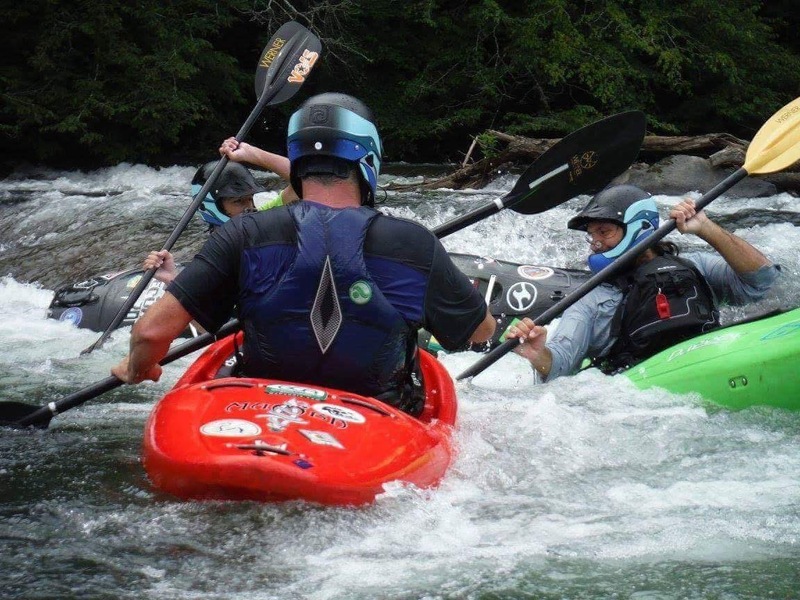 The Upper Nantahala was a special trip for us. That trip was a little out of the ordinary and I hope to make more memories in this coming season on bigger, higher class runs like the Upper Ocoee. 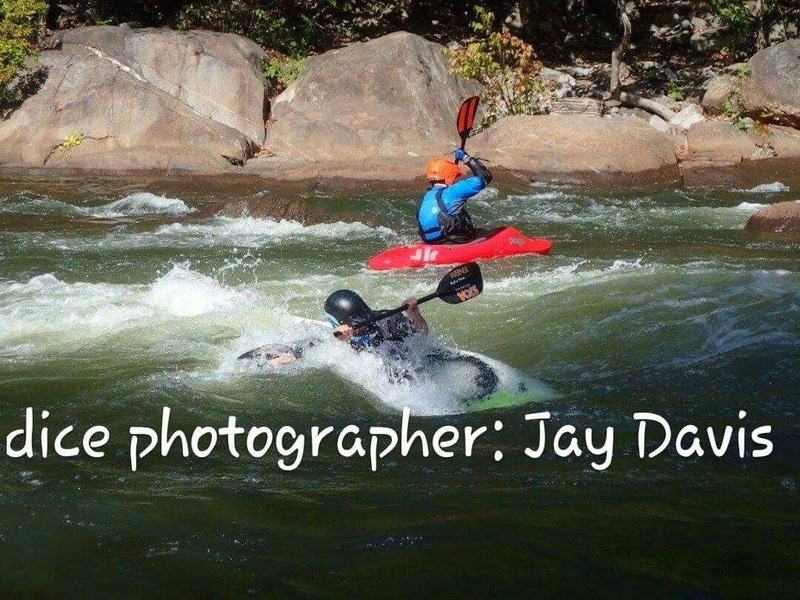 DBP: I really look forward to running the Ocoee with you and your dad again come spring release. FB9 was a special treat for me as well. I want to get the two of you on that run at a higher level of around 3000 to 4000 CFS. You went from simple class ll all the way to class lV Tallulah this year, earning you the Georgia Canoeing Association’s Most Improved PaddlerAward. What do you feel contributed most to this accomplishment? Hunter: In my opinion, more than anything it’s seat time, just getting in your boat and paddling as much as possible. You have to get comfortable in your boat. Boats are just like people, they’re not just going to do what they need to do, or what you want them to do, if you don’t know and understand them. Learn your boat, and how it’s edges react to different features, and how you handle those reactions. Being able to effortlessly use your edges without having to think about the next move is one thing that I have worked on, and it has really helped me. Whether it is surfing a wave or trying to boof out of a class lV hole, your edges are there to help you. Until you know how to use those edges effortlessly, and transfer seamlessly, they will hurt you more than they will help. In the end it all comes down to feeling the water and how it is reacting with you and your boat. Also the same river and same features aren’t going to feel the same every time. For this reason I think paddling the same river over and over helps just as much as paddling a wide variety of things. Every feature changes depending on the water level or how you are feeling that particular day. The next time that someone says “Get in that hole and drop your edge just to see what happens” do it. People who have challenged me have gotten me to where I am now. DBP: Your dad is a natural born teacher. All three of us have taken classes together from Jimmy Jones and Jay Davis. I’m also sure others have given you advice along the way. What is the best you have been given so far? Hunter: By far, the best advice is to take advantage of the opportunities that you are given. They may not come again. Because of that I have pushed myself to the point where I can now take them when they arise, such as Tallulah and Cheoah in the spring. If there is something out there that you really want to do, that you love, and have a passion for, this is by far not new advice. You have heard this stated many times, but thanks to that, I found my passion in the form of kayaking. DBP: Do you have any set goals or new rivers in your sights for 2017? Hunter: I believe I am supposed to get on the first release of Cheoah in the spring. 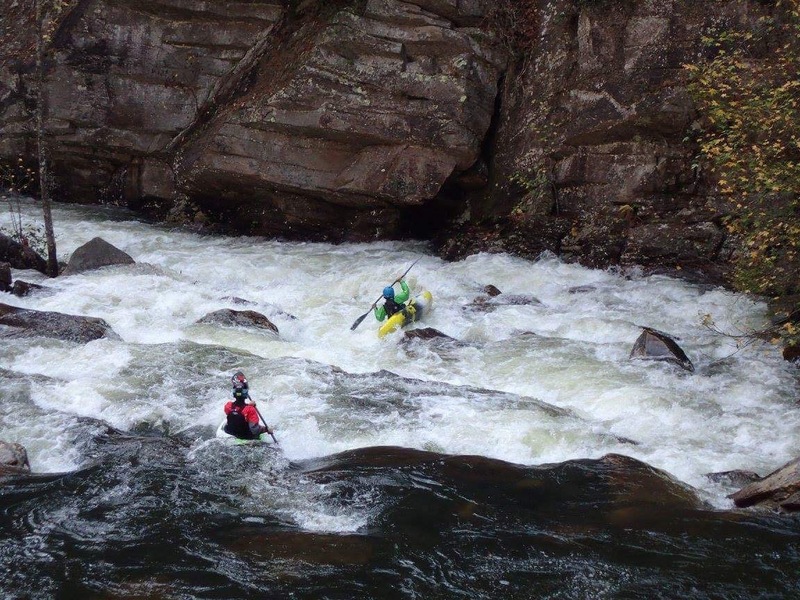 I’m looking to score the Upper Ocoee very early in the year. I am also hoping to paddle the Green River Narrows at some point by the end of the year. I will definitely be running Tallulah again, that’s a given. Other than that, I’m not real sure. Possibly Little River Canyon, maybe Pigeon River Dries, but we will just have to see how everything goes. 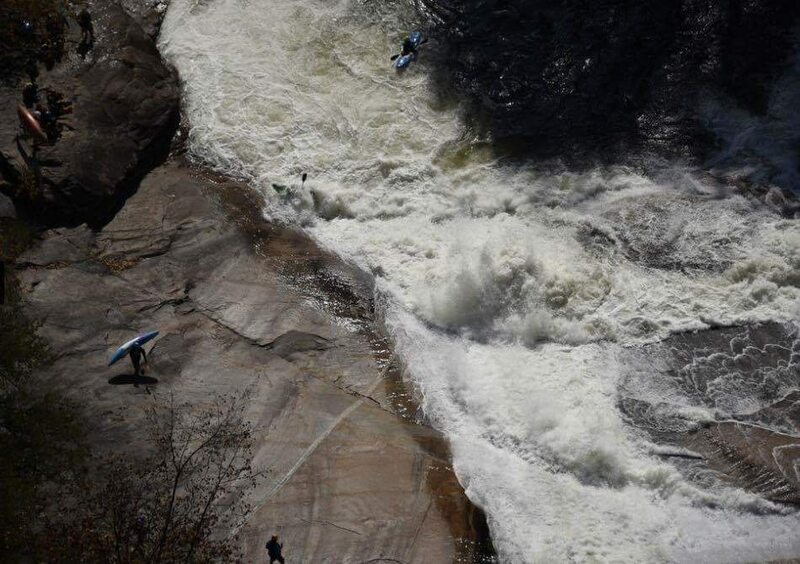 The Nantahala Cascades might be a possibility as well. DBP: When we paddled the last release of the Ocoee, your dad mentioned your reaction to Nick Troutman, when we ran into him at Diamond Splitter. Who are your influences in whitewater and why? DBP: Lee and I have had several conversations about your ability. Of all of us that are proud of you, your dad is your biggest fan. How does it feel to teach your dad new tricks? Hunter: Honestly, I’m just happy that I can help someone else. When I paddled with Jesse Hebden for the first time he made the comment that he could tell kayaking was what I needed to be doing. He said that is how it was for him, he just automatically belonged in a boat. Jesse working with me, teaching me, and boofing me out of holes, is something that I am now obligated to pass on to the rest of the kayaking community. I’m just happy to help dad, or anyone else that needs it, or just wants to have a good time. DBP: You have evolved from the Recon into a slicy, more playful boat, the Axiom. In what direction would you like to see new boat designs evolve? Hunter: I think it really depends on what the goal of the boat is. For example, the new Jackson Kayak Antix is almost identical to my Axiom, but the Antix has more volume in the bow, allowing the boat to be more creek capable, while still being a playable hull and stern. Another example from Jackson is the Fun. That was my dream boat for the longest time, until I found the Axiom. The Fun, in my opinion, is too short to do the older moves like squirts and splats. It is also too long to do the newer moves like loops and lunar orbits. Yes, it is possible, but it makes these moves a bit harder in something like the Fun. My thought on higher volume boats, the whole reason I came from a creek boat to the Axiom, was because of the edge. I think that manufacturers need to start adding more edge to the river runners and some edge at all to the creekers. Granted, this is my style of paddling, very aggressive, very hard charging. I like to be able to whip the boat around using its edges.Other people love the soft, almost nonexistent edges on a modern creek boat. Soft edges work for what they are designed to do, keep you upright and dry. Another reason that I like the Axiom is the way it fits. I wish that the higher volume boats had an option for tighter outfitting. 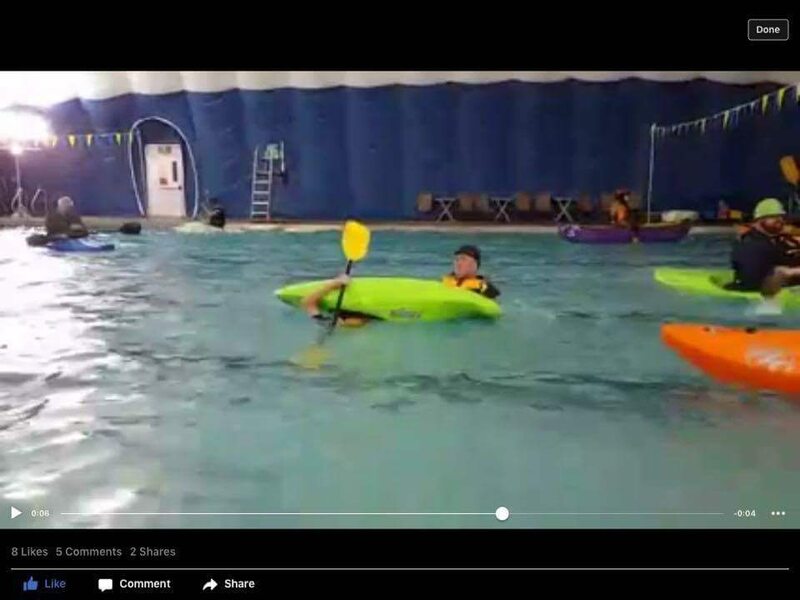 The Axiom feels like an extension of me, it allows me to use not just paddle strokes, but my whole body, including my legs, to control the boat because of the way it makes contact with me. DBP: There are so many opportunities for a person with your ability in this sport. 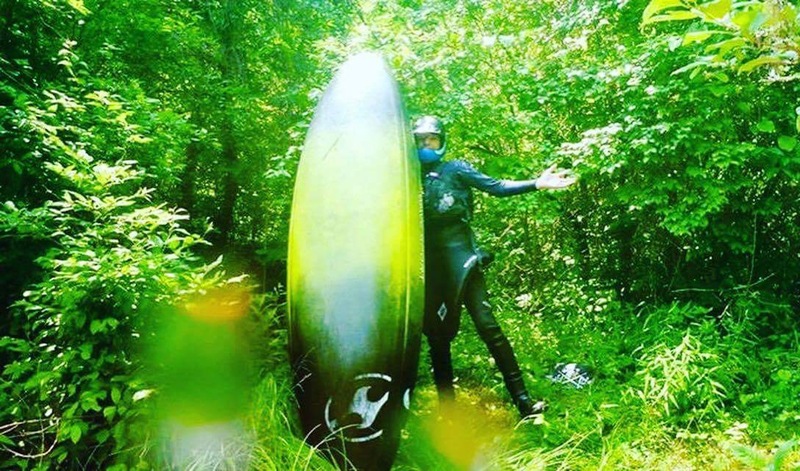 Where do you envision your future in paddling? Hunter: As far as physical places, I for sure want to paddle out west and the pacific northwest, I also definitely want to paddle Hawaii and Mexico. As far as non physical places, as long as I’m with the people who make this sport what it is, I really don’t think it matters. 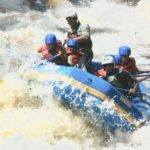 Many people prove time and time again that it is possible to have fun on something like the Metro Hooch, as long as you are in the right boat of course. DBP: Here at Dirt Bag Paddlers, we embrace the Wallace. We have to have some fun here, so can you give us an account of your worst swim? Hunter: I haven’t really had a truly bad swim yet. I have been very lucky in the fact that my swims have all been relatively safe and easy to rescue. I know that my day of beatering is coming. It will probably come soon, but I can’t do anything about that. My hardest swim to recover from happened at Tablesaw on the Ocoee. 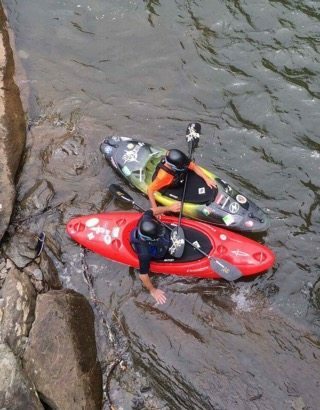 It was my second time to run the Ocoee. I followed Jarrett Tritt over the boof line at Tablesaw, landed with my edge wrong, flipped, and swam. I decided to let the rest of the crew worry about my boat, as I had my paddle in hand. I also knew that I didn’t want to swim Diamond Splitter. I reached a raft in an eddie and climbed into it. I told the guide that I needed to get to my boat on the other side. When there was an opening in traffic, he and his crew ferried me across the bottom current of Tablesaw to my boat. As for the most fun swim that I’ve had? Well… That had to be the trip that you led, my FB9 pfd. After a long day of boofing everything in sight, I got a little carried away. I selected a rock to launch off of which had an angled corner, and as I boofed, I got turned sideways and flipped directly into the hole. I tried to roll up but my paddle blade got stuck under a rock. Well….we all know what happened next. DBP: That was a very laughable moment for me. I had never seen you swim before. Lee made the comment, “I’m glad to see that my son is actually human, not a robot designed for whitewater.” Hunter, thanks for the personal memories and taking the time to talk with me. Hope to see you as soon as the rivers are flowing again. DIRT BAG IN AFRICA ~ A 1st Timer’s Guide to Uganda.